Nourish dry, brittle hair with Redken All Soft Conditioner, a moisturising formula that provides 15x more conditioning to help strengthen the hair's core. Fortified with omega-rich Argan Oil and a new RCT protein complex, the conditioner contains three proteins to effectively soften and detangle dry hair while treating it at the root, core and tip. Strengthening hair's core, the nourishing conditioner will leave locks looking healthy and replenished. 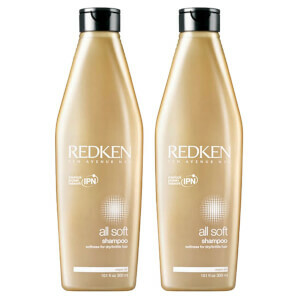 Use as a complete system with All Soft Shampoo and Argan-6 Oil. 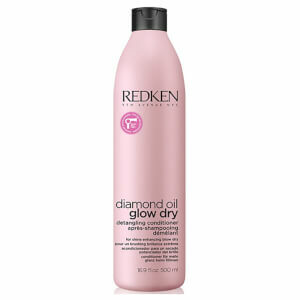 After shampooing, apply and distribute evenly through hair. Rinse. Follow by working a few drops of Argan-6 Oil through mid-lengths and ends of damp hair. Use All Soft Conditioner on the days that the All Soft Mega Mask is not used. Aqua/Water Cetearyl, Alcohol, Behentrimonium Chloride, Glycerin, Cetyl Esters, Isopropyl Myristate, Isopropyl, Alcohol, Phenoxyethanol, Parfum/Fragrance, Lauryl Peg/Ppg-18/18 Methicone, Cetyl Alcohol, Behentrimonium Methosulfate, Citric Acid, Chlorhexidine Digluconate, Quaternium-33, Dodecene, Poloxamer 407, Benzyl Benzoate, Arginine, 2-Oleadmido-1, 3-Octadecanediol, Hydrolyzed Soy Protein, Hydrolyzed Vegetable, Protein Pg-Propyl Silanetriol, Sodium Chloride, Tetrasodium Etda, Potassium Sorbate (D184537/1).